In 2016, more than 600,000 returned as Pakistan cracked down on undocumented Afghan refugees. kabul: More than 400,000 Afghan children are expected to drop out of school this year in the face of growing insecurity and displacement amid a spike in forced repatriations from Pakistan, Save the Children said Thursday. Thursday marked the first day of the new school year in Afghanistan, but around one-third of all children -- 3.7 million -- were not in attendance, the advocacy group said. "Today should be a happy day in Afghanistan as children go back to class for the first time after a long winter," said Save the Children country director Ana Locsin. Instead it is a day cloaked in tragedy for the millions who can't access education and are struggling to survive." The group estimates that more than 1,100 children will drop out per day this year, leaving them increasingly vulnerable to child labour, recruitment by armed groups, trafficking and early marriage. "And the longer they are out of the education system, the less likely they'll ever go back," Locsin said. Last year marked the deadliest year on record for Afghan children, with 923 killed as the conflict escalated across the country. Making matters worse is the forced repatriation of Afghan refugees by Pakistan as the conflict-torn country struggles to reabsorb them. In 2016, more than 600,000 returned as Pakistan cracked down on undocumented Afghan refugees and this year more than one million are expected to be sent back. 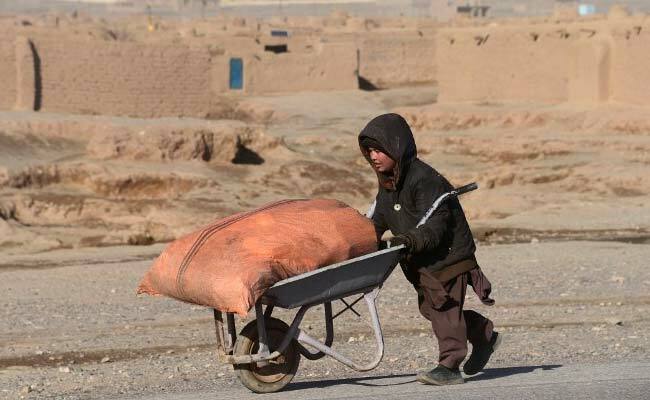 More than half of all returnee children are currently out of school and working on the streets, the group said, as their parents are unable to find work since arriving back in Afghanistan. "When I am collecting rubbish I feel really sad and wonder why I'm working at this age when I should be going to school," the group quoted a 14-year-old boy, Jawid, as saying. He was born in Pakistan but forced to return to Afghanistan with his family last year. "It is my time to get an education not to work," Jawid said.